Not sure if anyone has noticed the iTunes Top Singles chart today, but at #4 is a reminder of what continues to be wrong with the music industry. 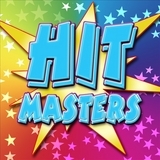 Apparently, a group called “Hit Masters” has scored the biggest hit of their careers with “All Summer Long”. Sound familiar? It should, because it’s a knock-off version of Kid Rock, who refuses to allow iTunes (or any electronic distribution website) to sell his music. I’m sure he has his fears of the electronic boogieman coming down and spreading that music file to the four corners of the Earth, but what we see setting up here is the same thing that happened in the ’90s, when the record companies started getting greedy over singles. “But hasn’t the industry always been greedy, John?” Well, of course they have, but it got much worse in the ’90s. In an attempt to sell more albums, many record companies looked to cutting back singles as a way to force consumers to purchase the full-length record. And you know what? It worked. There’s a reason that some of the biggest albums ever racked up their totals in the late ’90s. However, many of those consumers (including a lot of kids) still wanted the single because they couldn’t afford to buy a full-length CD or tape every time that they heard a song they liked. And this, dear reader, is where the knockoff single comes into play. The Countdown Singers are a product of Madacy Records, which specializes in compilations and collections of music that span multiple genres. Much of the music they put out is actually by the original artists, but some of it falls into the knockoff category. When the record companies started scaling back singles, Madacy hopped right into the mix, and in 1994, the Countdown Singers were born. While there are several different companies doing the Devil’s work now (Hip Kiddy Records released the Kid Rock knockoff), Madacy can probably be called the King of the genre. So use caution when purchasing your music singles. Unless it specifically has the singer’s name and picture attached to the graphics for the single, you should be VERY careful about buying it. Unless you’re like a friend of mine who bought one of those CDs a few years ago, only to find out that he actually LIKED a couple of the knockoff versions on the disc. His counseling is coming along quite nicely.